Happy Camper is a taste of freedom! Strike out for adventure and head to the horizon. 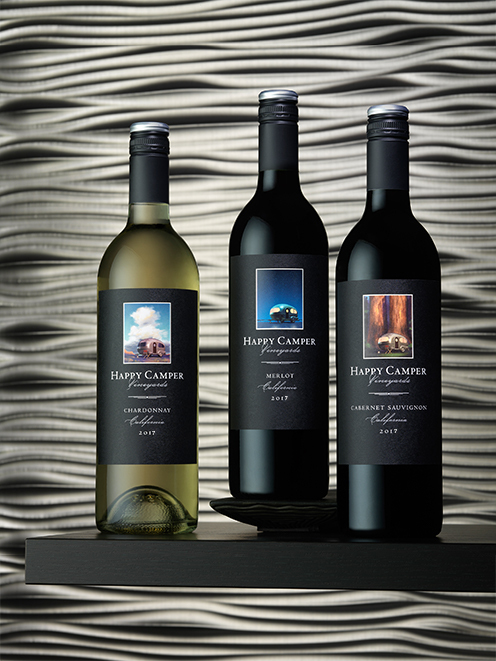 In three varietals, Happy Camper is your ticket to the good times ahead! Beach, desert, forest or even the living room floor, Happy Camper is the perfect complement to simple or complex cuisine. Life is an adventure. Don't Forget the wine. Happy Camper!